Back in 2011, a global player in the solar energy industry, Sun Bear's plan to build a RM5.2billion solar glass plant in KKIP, Sabah didn't materialise due to power supply issue. Insufficient power supply to be exact. Recently, Germany's Bosch announced it was shelving a plan to build a RM2.2 billion solar facility in Batu Kawan, Penang - for a different reason. One of Bosch facilities in Penang. motortrader pix. 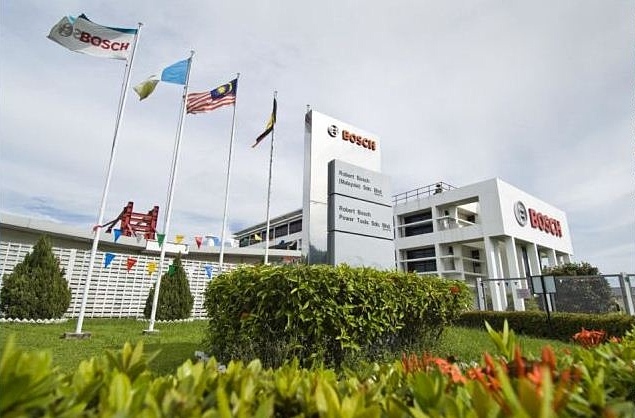 Bosch Solar Energy Sdn Bhd will quit a proposed RM2.2 billion investment to build a new solar facility in Batu Kawan as part of a decision by its parent to discontinue their global crystalline photovoltaic (PV) business. In a statement last Friday Germany's Robert Bosch GmbH said it will stop manufacturing of ingots, wafers, cells, and modules at the beginning of 2014 and as far as possible, individual units are to be sold quickly. It said that its module plant in Vénissieux, France, is to be sold, while plans to construct a manufacturing facility in Malaysia will end. In December 2011, after an extensive global site selection, Bosch purchased an industrial site in Batu Kawan. They had planned to start construction of the new facility in Q1, 2012 and start operations by early 2013. These plans however did not take off but Bosch had paid the land purchase according to schedule to reflect its commitment to the project. Early 2012 Bosch announced that due to global overcapacity, price declines and major shakeouts in the PV industry the project in Batu Kawan will be delayed. "Despite extensive measures to reduce manufacturing cost over the past year, we were unable to offset the drop in prices, which was as much as 40%," Bosch Solar Energy AG supervisory board chairman Dr Stefan Hartung said in a statement, adding that losses for the solar division amounted to €1billion (RM4.04billion) last year. In a separate statement, InvestPenang chairman Datuk Simon Wong said the state government's investment arm has noted the decision to stop the manufacturing of solar energy parts. He said the decision was unavoidable in view of the current state of the global PV industry. Hopefully, it is not the end of the road yet - at least in the context of FDI in Penang - as Business Times reported an industry source as saying "Bosch have conveyed to the state investment authorities that it is committed to the assets it possess in Penang and will need to rejig their plans." too bad the project has been cancelled.